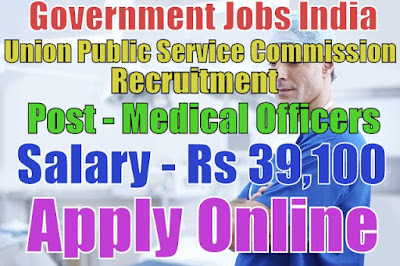 Union Public Service Commission (UPSC) has published recruitment notification 2017 for 83 assistant professor, medical officers and various posts. All legible and interested candidates have to apply on or before (03-03-2017). 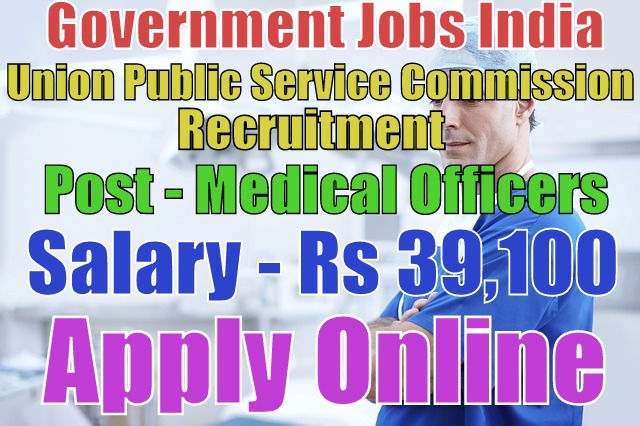 Further more information about educational qualifications, salary details, application fee and more information about given post is mentioned in detailed below. 4. Medical officers - 42. For post(1), the salary will be Rs 15,600 - 39,100 with Rs 7,600 grade pay, for post(2), the salary will be Rs 9,300 - 34,800 with Rs 4,600 grade pay, for post(3), the salary will be Rs 15,600 - 39,100 with Rs 6,600 grade pay and for post(4), the salary will be Rs 15,600 - 39,100 with Rs 5,400 grade pay To know more about salary details as post wise go to detailed advertisement. A candidate age should must be less than 40 years. To know more about age details, click on detailed advertisement. To apply for the mentioned posts, candidate should must have done 10th, 12th, graduation degree, master's degree, M.Sc in microbiology / botany, MBBS degree or its equivalent / relevant / higher qualification from a recognized board or university. For union public service commission recruitment, candidate will be selected on the basis of their performance in written exam and then interview. All legible and interested candidates have to apply online through official website which is given below. Candidates have to apply on or before (03-03-2017). Rs 25 for all category candidates.